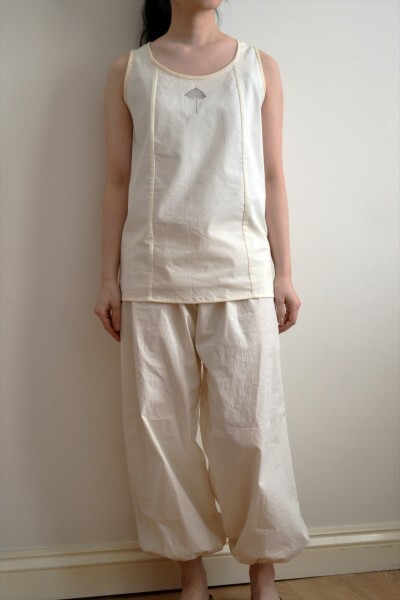 I have made a cotton vest and pants set for my friend’s birthday. 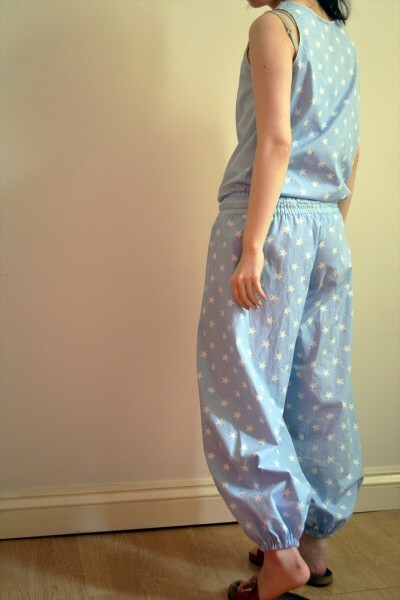 I have been wanting to make salwar pants for a while as I think they are very cute. Then I thought I also like the concept of jumpsuits but I don’t like the inconvenience of going to the loo and having to strip off. So I thought I should make a separate which would look like a jumpsuit. This one is the sample version in calico I have made for myself. The vest has three panels at the front. The fabric used for the sides are lighter. The pants are elasticated at the waist and at the hem. 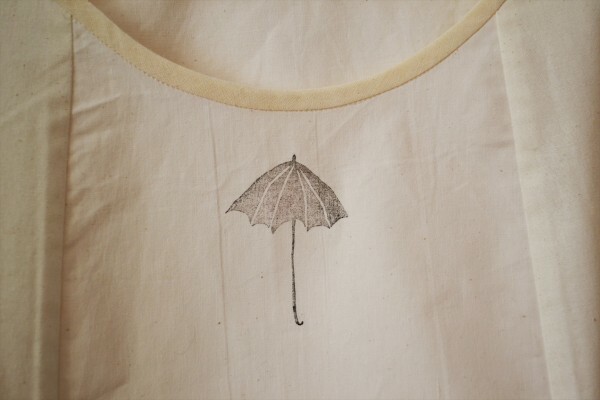 I have used an umbrella stamp I’ve bought from yellow owl workshop for the front side. They have nice stationery which I really like. I wanted to make use of this stamp somehow. It looks perfect! 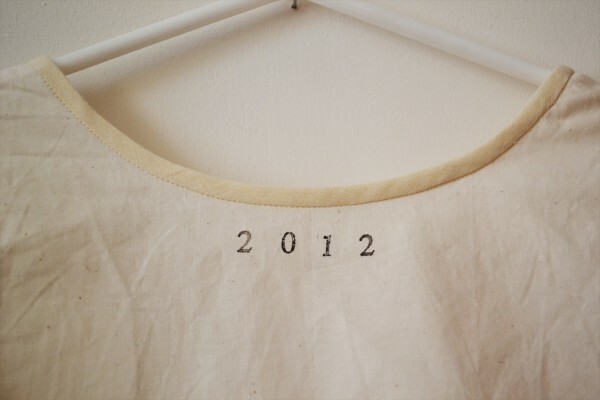 The year is stamped on the back side. 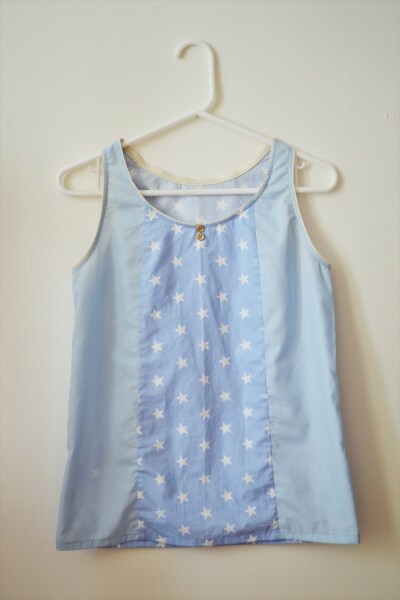 And this is the final version of the vest for my friend in star patterned fabric in baby blue. 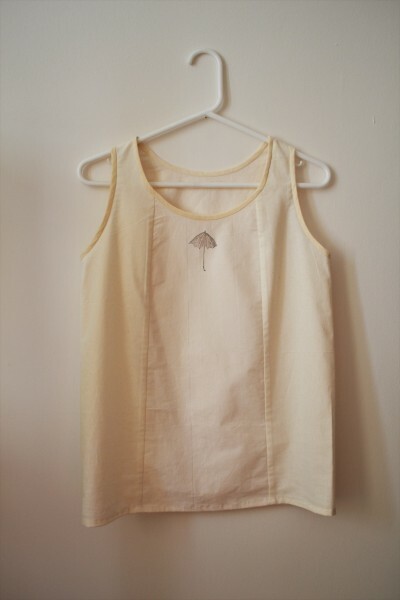 The neckline and armholes are trimmed with cotton ribbon and the front side panels are in plain fabric. Two gold buttons stitched in the middle of neckline. So here is the set. I think it has some feeling of a jumpsuit when you tuck in the vest, I hope? The elasticated waist section of the pants are in the same plain fabric as the one used in the vest top. The same cotton ribbon is used in the waist section as well. That’s it, Happy Birthday!